A Midleton Mystery: WHERE exactly was Drohidfynnaght? 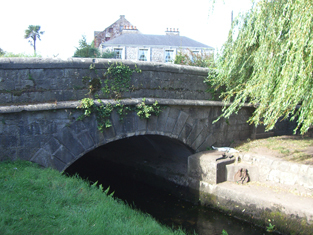 The five arched bridge leading from the northern end of Midleton town center to Cork. It has one end higher than the other due to the high ground sloping down on western bank of the Owenacurra River. ‘Grant…to John Fitz Gerald Fitz Edmond of Clohermony….of 10 acres between Drohidfynnaght on the east, and the river running from the mill there on the west….’ From The Irish Fiants of the Tudor Sovereigns, 1994. In the Irish Patent Rolls of Queen Elizabeth I there is a grant of 1573 to John FitzEdmund FitzGerald of Cahermone (Clohermony) of the ‘site of the monastery of the B.V.M. de Choro S. Benedicti alias the abbey of Chore, lands in Castle Redmond, Chore, with a mill and salmon weir,’ etc. This grant was awarded to John FitzEdmund FitzGerald a year after the 1551 lease of the same property to Giles Hovenden and his heirs male finally expired after twenty one years. However, the FitzGerald lease included some additional properties. 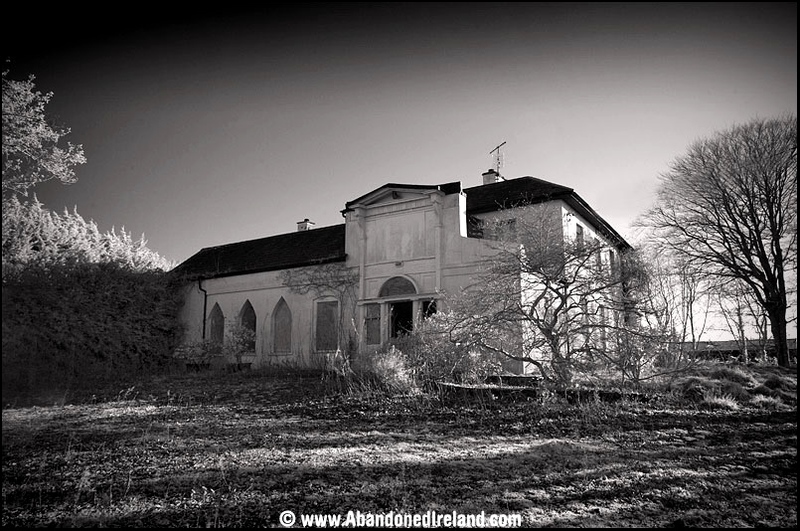 There was a messuage and garden in Carrigtwohill, a parcel of land called Fearryn Edmund Roe, plots in Knockacottig, and several rectories and vicarages. In the middle of all these was the statement about Drohidfynnaght. But this location isn’t on a modern map of East Cork. The wording suggests that it was a townland. Drohidfynnaght appears to be located in the east with the river and mill on the west. However, you must remember that this is an abbreviated 19th century transcription of a document that was destroyed in the Four Courts fire of 1922. The essentials were recorded by the Keeper of Public Records during the 19th century and published in the series Calendar of State Documents (Ireland) – Elizabeth I. All the published, and known fiants, of the Tudor sovereigns were later republished as a group by Eamonn de Burca in 1994, with a new introduction by Kenneth Nicholls. I decided to consult Dr Seosamh O’Ceallaigh in Donegal about the possible meaning of the name Drohidfynnaght. He was a good choice since his PhD is in Irish, especially the Classical Irish of this late medieval and early modern period. He must have been in stitches with laughter when I sent him my message – because he was probably the very best person to solve this mystery. Drohidfynnaght consists of two conjoined words. Drohid refers to a bridge. 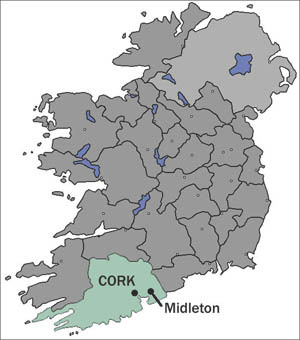 That I already knew, but it was nice to know that there was a bridge in the area of Midleton. Well, there were two rivers or streams to cross. But ‘fynnaght’ stumped me. I thought it might refer to ‘fine’ which is a kin-group or might perhaps refer to a religious community (monastery). But Joe, being from Fanad in County Donegal, was very quick to get back – ‘fynnaght’ is the same word as ‘fanad’! It means a sloping piece of ground. Thus Drohidfynnaght means a bridge of the sloping ground. At once, Joe doubled my difficulties – you see, he’s never been to Midleton, and really had no idea that there are TWO places in the modern townland of Townparks that could fit the bill perfectly! The first is the northern part of Townparks running beside the Owenacurra River and up the Mill Road. The river here runs from north to south. The eastern bank is perfectly flat. The western bank drops to the river in a steep slope exactly where the present Cork Bridge is located. And there was at least one mill on this river in the sixteenth century. The shape of Townparks townland at this point suggests it might be an addition to the old townland of Chore or Mainistir na Corann which later became Townparks. The other site is at the opposite end of the town at the southern end of Main Street. The north bank of the east-west flowing Roxborough, or Dungourney, River is flat. But the south bank is a steep slope up the Rock which marks the high ground south of Midleton town centre. The two roads here lead to Cloyne (due south) and Youghal (due east). These were the two most important towns in Elizabethan Imokilly. 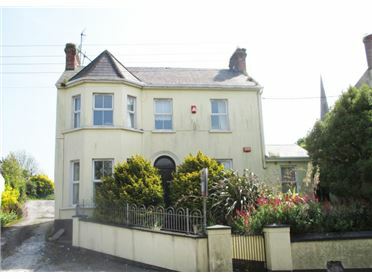 The area on the south bank is part of Townparks and it stretches out the Youghal Road and down towards Lakeview. This could easily have been the Drohidfynnaght mentioned in the grant of 1573, except at the present state of research we have no idea if there was a mill there at the time. Indeed there seems to be no evidence of a mill in this area even in later centuries. 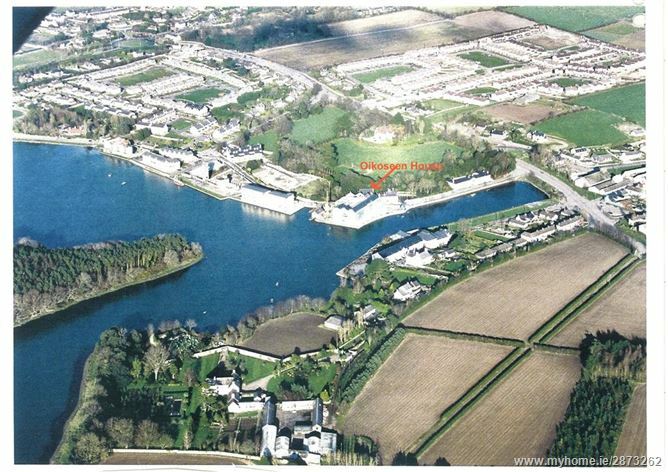 My own preference is for the northern area of Townparks by the Cork Bridge. This bridge is older than it appears because it was widened twice. I examined it during the summer and it was clearly an older bridge with two side additions. 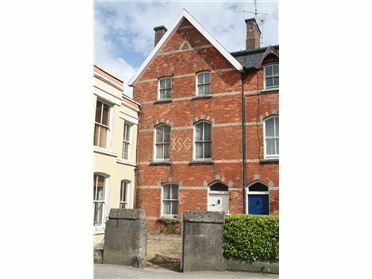 The first extension was in the early 19th century, and then in the middle of the 20th century (around 1950). The original bridge is still preserved directly under the roadway. But it isn’t as old as the 1573 grant – it’s clearly of eighteenth century date and was quite narrow compared with today’s bridge. Also, Lewis Bridge, across the Roxborough River, is a late eighteenth century single span bridge, with no surviving evidence of the earlier crossing. 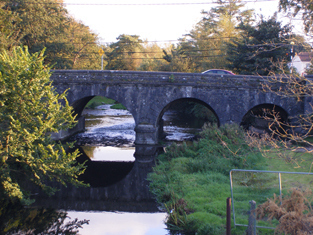 Lewis Bridge crosses the Roxborough or Dungourney River at the southern end of Main Street in Midleton. It’s a late eighteenth century elliptical arched single-span bridge. 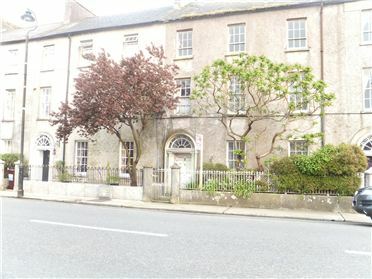 The proximity of the former monastic mill in the 1543 dissolution record for the abbey suggests that Drohidfynnaght is on or near the area of the old Fair Green in Midleton. The text says ‘from Drohidfynnaght’ to the mill and river. But this could be from the boundary of the townland of Drohidfynnaght to the river. So it suggests that John FitzEdmund FitzGerald didn’t get ALL of Drohidfynnaght, if it was a townland – he only got the most lucrative bit of it!